Universal suction mount with cradle and tripod mount for Muvi and Muvi HD camera. The short based suction mount will attach to almost anything flat and is designed to hold at high speeds. 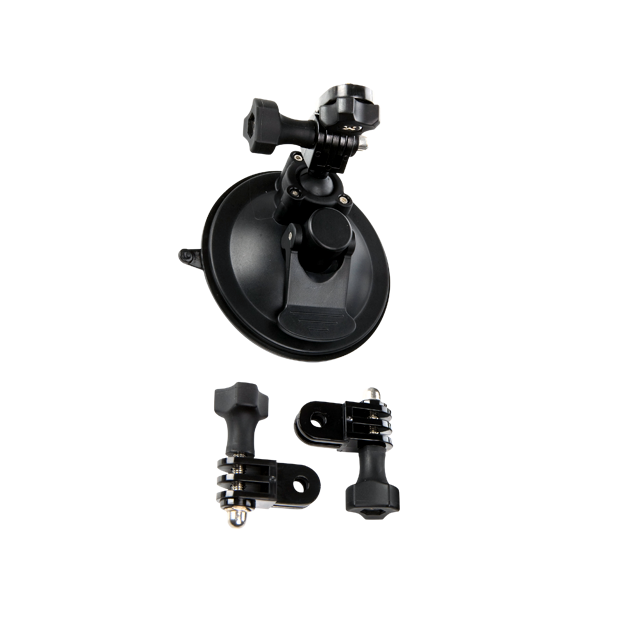 Shipped with the suction mount is the stand Muvi HD holder, a protective skin holder, 2 way angle connector and tripod mount.